Please arrive 15 minutes prior to your reservation to change and be ready to begin at the scheduled time. We are very committed and considerate of each of our guest’s reservation time so we will always end each service at the scheduled time. We do require a Credit, Debit, or Avante Gift Card on file to secure your reservation. All group events and multiple reservations require payment in advance. Reservations must be prepaid for any guest who has missed three reservations, without notice and is non-refundable. Pre-payment or deposit is required for large parties or special occasion reservations. Refund will only be issued if canceled 48 hours in advance, otherwise deposit can be redeemed at a later date. (example: Wedding Parties, Prom or Groups of 3 or more.) Avante reserves the right to discontinue or refuse service to anyone without notice. If you are unable to keep your reservation and cannot call 24 hrs prior you may be charged up to 100% of that service. Charges are determined by whether or not we are able to fill your reservation. Gift certificates are considered as advance payment and are therefore subject to the same policy. For the courtesy of other guests, please turn all cell phones and/or pagers off or to silent mode. Please do not bring expensive jewelry or personal items to the Salon or Spa. We provide lockers, robes, smocks, and spa slippers; however, we are not responsible for any damaged, lost, or stolen personal items. Due to the relaxing environment that we provide for each of our guests, we ask that you maintain quiet conversations. We ask that only those receiving services accompany you to the salon and spa. This is your day to relax. We kindly request that children not accompany you to your reservation we do not allow children 6 and under in the salon or spa. We offer services for the ages of 7 and up. To ensure the growth and career development of our team, we have a level system. All of the menu prices are starting at the listed price. The listed prices are level one. Price levels are an additional $5 increase per level. Each member of the Avanté team is highly trained, licensed, and certified. The higher levels have reached higher goals, received more continuing education hours, and are usually pre-booked several weeks in advance. However, there are frequent reschedules, so please ask and always refer to our waiting list when scheduling spontaneously. Please feel free to ask exact prices and request levels when scheduling. Prices are subject to change without notice. We do require a Credit, Debit, or Avante Gift Card on file to secure your reservation. Gift certificates may be purchased for any package or dollar amount. Gratuities cannot be added to gift certificates. 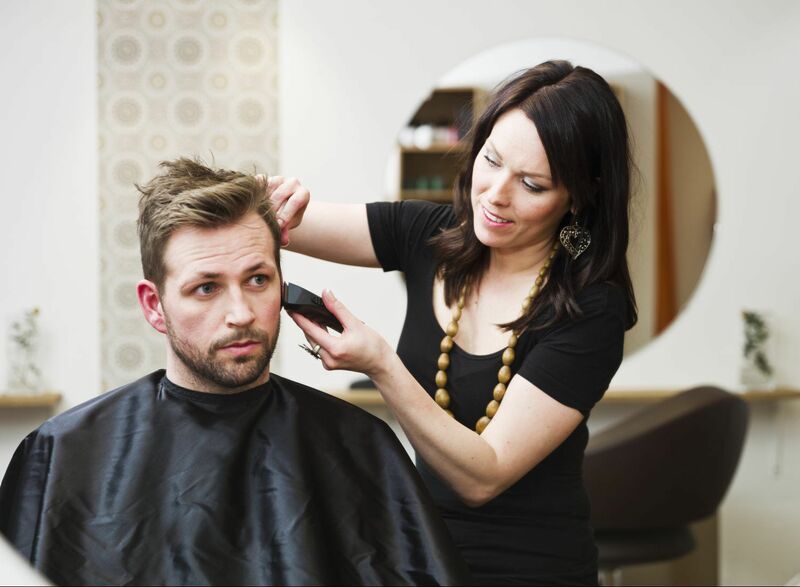 Gift certificates are non-refundable; however, they may be exchanged for any product or service. We will exchange any tangible unused product with (by law) the exception of skincare, make-up and body products if returned within 14 days of purchase with original tags. Gift Certificates are subject to a $10.00 inactivity fee/re-activation fee per expiration year. Service satisfaction is 100%. We will adjust any service within 5 days if you are not 100% satisfied. Services are not tangible products and are not subject to refunds. If you would like more information on our policies please call us at 817-477-4040. We do not add gratuity charges to our services. You may add gratuities at the time of check-out. Gratuities are very much appreciated by all of our technicians. Our service providers accept gratuities however, our assistants and support staff do not. Our industry typically is 20% however this is a personal choice and option. 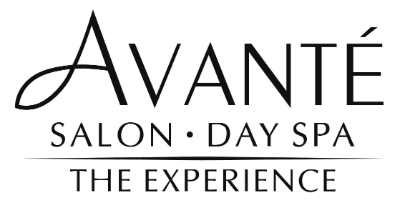 Avante Salon & Day Spa shares collected demographic information with our partners and advertisers. We partner with another party to provide specific services. When the user signs up for these services, we will share names, or other contact information that is necessary for the third party to provide these services. We may use the information we collect from you when you register, purchase products, enter a contest or promotion, respond to a survey or marketing communication, surf the website, or use certain other site features to personalize your site experience and to allow us to deliver the type of content and product offerings in which you are most interested, to allow us to better service you in responding to your customer service requests, to quickly process your transactions, to administer a contest, promotion, survey or other site feature, or if you have opted-in to receive our e-mail newsletter, we may send you periodic emails. You have the option to select to receive newsletters from us via email. Visitors who register or participate in other site features such as marketing programs and ‘members-only’ content will be given a choice whether they would like to be on our e-mail list and receive e-mail communications from us. To modify your e-mail subscriptions, please let us know by modifying your preferences by clicking on the “Preferences Link” located at the bottom of the email. Please note that due to email production schedules you may receive any emails already in production. You may opt out of any future contacts from us at any time. You may see what data we have about you, if any, change or correct any data we have about you, have us delete any data we have about you, or express any concern you have about our use of your data contacts us via the Contact Us Link. You can choose to have your computer warn you each time a cook is being sent, or you can choose to turn off all cookies. You do this through your browser (like Netscape Navigator or Internet Explorer) settings. Each browser is a little different, so look at your browser Help menu to learn the correct way to modify your cookies. If you turn cookies off, you won’t have access to many features that make your site experience more efficient and some of our services will not function properly. However, you can still place order over the telephone by contacting customer service. It is your responsibility to your preferred adjustments. This website contains links to other sites. Please be aware that we are not responsible for the content or privacy practices of such other sites. Avante Salon & Day Spa encourages our users to be aware when they leave our site and to read the privacy statements of any other site that collects personally identifiable information. Avante Salon & Day Spa does not sell, trade, or otherwise transfer to outside parties your personally identifiable information. The term “outside parties” does not include Avante Salon & Day Spa. It also does not include website hosting partners and other parties who assist us in operating our website, conducting our business, or servicing you, so long as those parties agree to keep this information confidential. We may also release your information when compelled to do so by law, to enforce our site policies, or protect ours or others’ rights, property, or safety. However, non-personally identifiable visitor information may be provided to other parties for marketing, advertising, or other uses. We may contract with third-party service providers to assist us in better understanding our site visitors. These service providers are not permitted to use the information collected on our behalf except to help us conduct and improve our business. 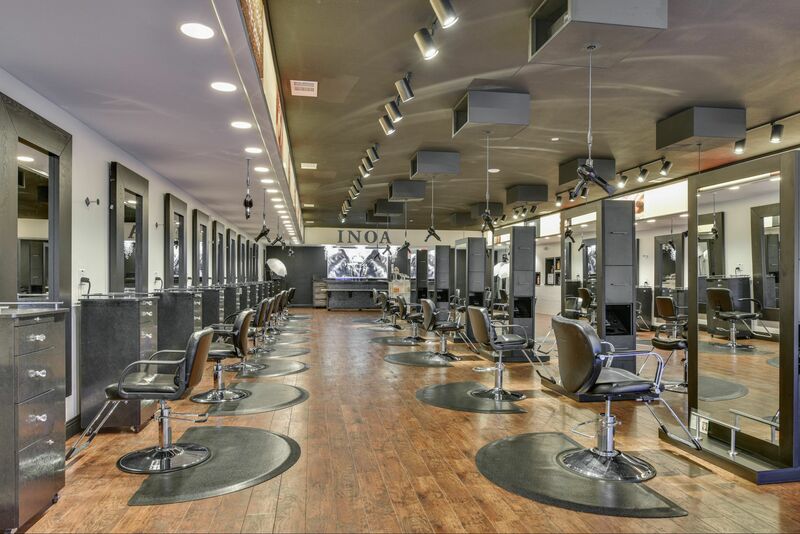 Avante Salon & Day Spa implements a variety of security measures to maintain the safety of your personal information. Your personal information is contained behind secured networks and is only accessible by a limited number of persons who have special access rights to such systems, and are required to keep the information confidential. When you place orders or access your personal information, we offer the use of a secure server. All sensitive/credit information you supply is transmitted via Secure Socket Layer (SSL) technology and then encrypted into our databases to be only accessed as stated above. While we use encryption to protect sensitive information transmitted online, we also protect your information offline. The computers/servers in which we store personally identifiable information are kept in a secure environment. 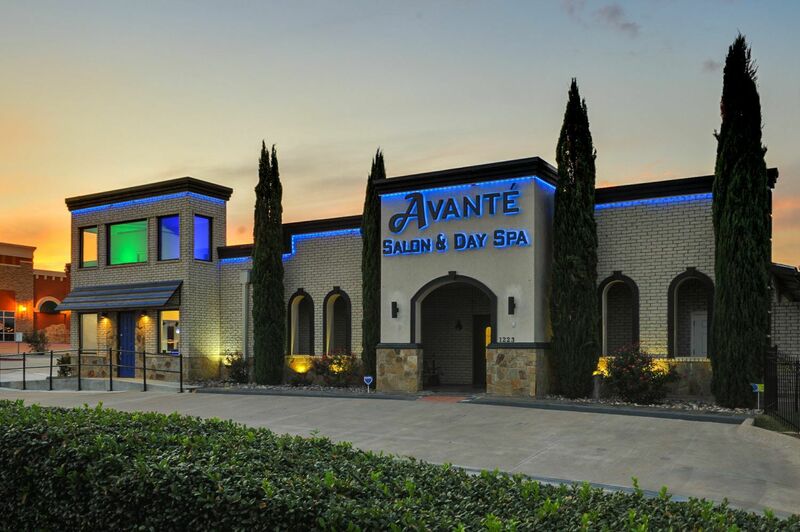 Avante Salon & Day Spa welcomes your questions, comments, and concerns about privacy. Please send us any and all feedback pertaining to privacy, or any other issue by accessing the Contact Us link.